Crowstone is one of the Sorrow Isles: places of shadows, marsh and sea mists. The nearest other island is a prison, a further one a deserted cemetery; and, over all the isles, the weight of a dead woman’s curse. The Widdershins sisters are the particular victims of this curse, for any Widdershins daughter that seeks to leave Crowstone faces certain death beyond its perimeter to the sounds of crows screeching in her head. Adventurous middle daughter Betty would have found any restriction on her aspiration onerous, let alone one so draconian. So this is the tale of how Betty, teenage Fliss, and little Charlie risk everything to lift the curse. Luckily, they begin with the help of their tavern keeping Gran, who presents them each with a magic heirloom: a carpet bag for Charlie that can take them anywhere instantly; a mirror for Fliss in which she can 'face time' anyone wherever they are; and a set of Russian dolls for Betty herself whose properties can confer invisibility, as long as you remember the proper procedure. This is a fine piece of dark fantasy, in which, as in the tales that are its models, the human capacity for cruelty, sometimes visited by children on children, or sister on sister, is exceeded only by the strength of love. 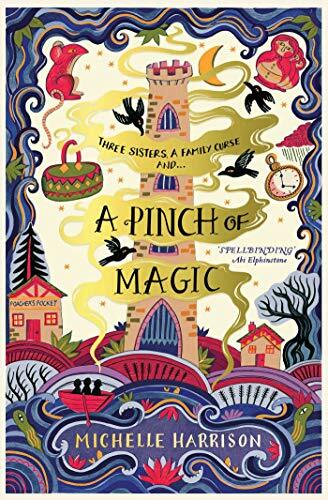 Michelle Harrison maintains the sense of doom, lightens it with flashes of humour, and creates a careering plot and interesting characters, gradually unravelling the secrets of the curse, as the sisters lurch from one perilous situation to another. It’s an ingenious and compelling tale.